With releases this season including a summery remix of Lana Del Ray’s “Young & Beautiful and the marching band progressive house of his Sebjak collaboration “Liceu”, Marcus Schössow continues to show his range with his latest remix. 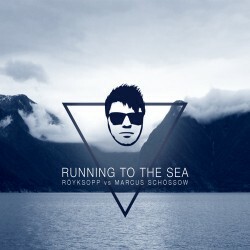 This time, it’s his take on Norwegian duo Röyksopp on “Running To The Sea”, and it’s trance-house fusion at its finest. Starting with a calm breakdown to let the angelic vocals of Susanne Sundfør shine through, Schössow adds in a thick drum beat and subtle acid undertones throughout the rest of the verse. The nearly three-minute build climaxes with a thunderous boom of progressive house meets trance, bringing the serenity of the original vocals back into the big room. With existing support from Axwell and John Dahlbäck, this one should rock festival circuit all summer long. Check out Marcus Schössow’s Soundcloud page for a free download.